LOCATION Saint-Laurent, (Montreal) Quebec SIZE OF FACILITY 5,000 sq. ft. Shortly after immigrating to Canada as a young man, Garo Nazarian found employment with a traditional prepress company. Always looking to better himself, Nazarian went to night school and started working with computers just as desktop publishing and lower-cost electronic prepress was taking off. He started his own prepress and graphic design firm in 1996. Ever foresightful, he purchased a computer-to-plate system and began converting his customers to digitally imaged plates. Nazarian hoped to support more powerful marketing campaigns, and make use of his knowledge. “It helped me to understand my clients, market research, and branding. 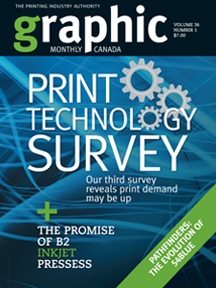 Companies are looking for more than just a printer,” he says. “They want a full-service partner that understands how we can help them get the results they need.” When the company started, it naturally took advantage of the capabilities of the Xeikon and focused on personalized marketing pieces and variable information. The business slowly grew but it wasn’t without its challenges. 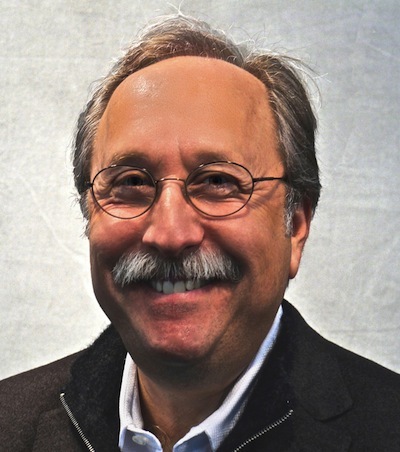 In addition to figuring out the prepress settings, developing an efficient workflow, and adjusting the press, the postpress process posed its own hurdles. “Finishing is more important than printing,” Nazarian notes. “It requires a detailed aligning of panels and images. The fit needs to be 100%.” Initially, Melann cut the sheets manually. Eventually, it invested in a finishing system specifically for the wallpaper business. Producing extremely high-res wallpaper and murals has opened a unique niche for Melan. Nazarian notes that many businesses are using customized wallpaper murals in their buildings not only for decoration but also to communicate powerful marketing messages. These visually compelling murals can be used to transform an office building, to motivate employees, or promote a brand. One of Melan’s most important wallpaper clients has a library of more than 500 images that can be custom-ordered. According to Nazarian, the key is Xeikon’s format flexibility. “I tell customers all the time that the printed width is almost 20", and the length is four kilometers,” Nazarian says. “That grabs their attention and that gives us a large amount of flexibility in job sizes.” In addition to the wallpaper murals, Melan has developed a thriving business in other applications that make good use of this flexibility, such as banners, posters and pocket folders, as well as traditional commercial work. “The term we use is ‘infinite possibilities,’” Nazarian says. “Our customers are only limited by their imagination. Whatever we throw at it, the Xeikon press is well-equipped to handle the challenge.” The wallpaper and mural business has been so successful that it makes up nearly 40% of Melan’s revenues. 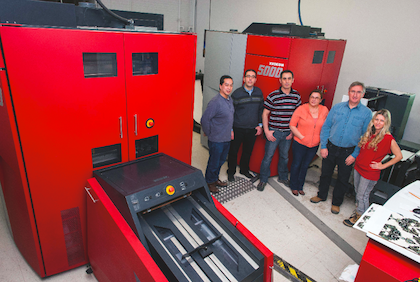 In late 2013, the company purchased and installed a second Xeikon press to meet growing customer demand. But Nazarian isn’t stopping there. With the ability to print 16 pt. and 18 pt. board, Nazarian is exploring packaging and folding cartons.